For a little more detail on how Gilligan's account of moral development differs from and responds to those of her predecessors, check out this page from the U. of Illinois Office for Studies in Moral Development and Education. The relative powerlessness of young children, coupled with childhood egocentrism feeds into a heteronomous moral orientation [meaning it's tied to blind obedience to authority]. Piaget concluded from this work that schools should emphasize cooperative decision-making and problem solving, nurturing moral development by requiring students to work out common rules based on fairness. This is a direct rejection of sociologists Emile Durkheim's view of proper moral education... Durkheim believed moral development was a natural result of attachment to the group, an attachment which manifests itself in a respect for the symbols, rules, and authority of that group. 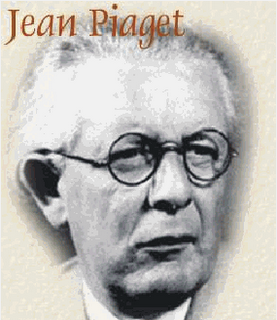 Piaget rejected this belief that children simply learn and internalize the norms for a group; he believed individuals define morality individually through their struggles to arrive at fair solutions. Given this view, Piaget suggested that a classroom teacher perform a difficult task: the educator must provide students with opportunities for personal discovery through problem solving, rather than indoctrinating students with norms. I point this out because I think it's a common belief that morality is just a matter of authority drilled into your head: that to be moral is most people a matter of knee jerk reactions expressing groupthink, and that's exactly what the morally underdeveloped do, according to Jonathan Glover in this Philosophy Bites episode on personality disorder and morality. For the rest of us, though, there's autonomous thought, dependent though it may be on interactions with others. Morality is, as a matter of psychology, not "the they," but "we." That insight runs through Piaget, Kohlberg, and Gilligan. Great stuff. You guys should do a whole episode on the problem of the “they” and the “we”. I would argue that insofar as the “we” is considered only psychologically rather than ontologically, one will tend to find it dissolves into the “they”. This is perhaps the essential point of Hegel’s Phenomenology: mindedness or rationality as such, ontologically, implies a “we”. There is no reason without a “we” in which rationality can be expressed and recognized. People with anti-social personality disorders, a.k.a. sociopaths and psychopaths, can understand that other people think murder is wrong the way an atheist can understand that other people think the sabbath is holy. They will abstain from crime to preserve their own skin, to avoid jail or the death penalty. But that act of restraint is not a moral act so much as a self-serving act of compliance. The capacity for empathy seems to be the key, a capacity we share with our primate cousins and other mammals. That’s exactly what the psychopath lacks almost entirely; empathy. These are the real monsters, serial killers and such. There are lesser grades of this disorder, a continuum of empathy deficiencies, if you will. Anyway, it seems science is coming around to the view that morality is very ancient, natural and primarily affective, rather than rational and uniquely human. It is all emotion, which is even evident in proto-mentality at the energetic atomic level, where laws are far more in control and individual freedom is at a minimum. For alligators, dogs, and us – all on the affective continuum – we see more freedom of action in those individuals with greater cognitive governing of their emotion. But it is all emotion, even for us. See Panksepp on affective neuroscience, and Sohms on affective psychoanalysis.